2018 was the beginning of a paradigm shift. We started off the year with the implementation of China’s new ban on importing the world’s plastic recycling. For over 30 years, the world’s solution to our throw-away lifestyle was recycling. But with plastic production significantly increasing over the years, fueled by cheap fossil fuel extraction from fracking, recycling just cannot keep up with the trash we produce. Unfortunately, the combination of more waste and less recycling capacity is leading to a dramatic increase in incineration as a method of managing waste, creating even more pollution. The good news is that grassroots groups have embraced zero waste actions and policies that emphasize waste prevention, eliminating the environmental impact of plastic’s full lifecycle, from extraction to disposal, and Clean Water Action and Clean Water Fund are leading the movement! Join our ReThink Disposable movement to go plastic free in 2019! We’re hoping for gifts that will help us continue our vision to create a world without plastic waste. Support Clean Water Fund today. This year, in coalition with local organizations, we launched Empower NJ: No Fossil Fuel Projects, a campaign for a moratorium on all fossil fuel development and a complete ban on fracking in New Jersey. While there is no fracking in New Jersey now, the Garden State state is full of pipeline and power-plant projects that sustain natural gas extraction out of state, as close as Pennsylvania. Our fight for renewable energy in New Jersey is also a fight to keep the ethane used to make plastics in the ground. This year we also expanded ReThink Disposable, our waste prevention program that works with businesses, communities, and governments to change the throw-away culture. We launched voluntary waste reduction campaigns, which include straw-free policies and minimizing single-use disposables like plastic bags, plates, and cutlery, at local restaurants and community events with amazing results. We are helping small businesses set an example that waste conscious practices also help the economy. On the policy side, Clean Water Action is working to pass one of the strongest laws on single-use plastics so far. The statewide bill, A4330/S2776, will ban plastic carryout bags, single-use plastic straws, and styrofoam food containers, and put a 10 cent fee on paper bags. We are also working with local governments to pass municipal bans on single-use plastics to further encourage large-scale plastics reduction. In 2018, we saw people step up and take actions to break our plastic addiction. More people say “no straw please” when dining at restaurants, bring their own cups for coffee to-go, and pack lunches in reusable containers. For 2019, we ask you to keep up those great habits and go one step further. 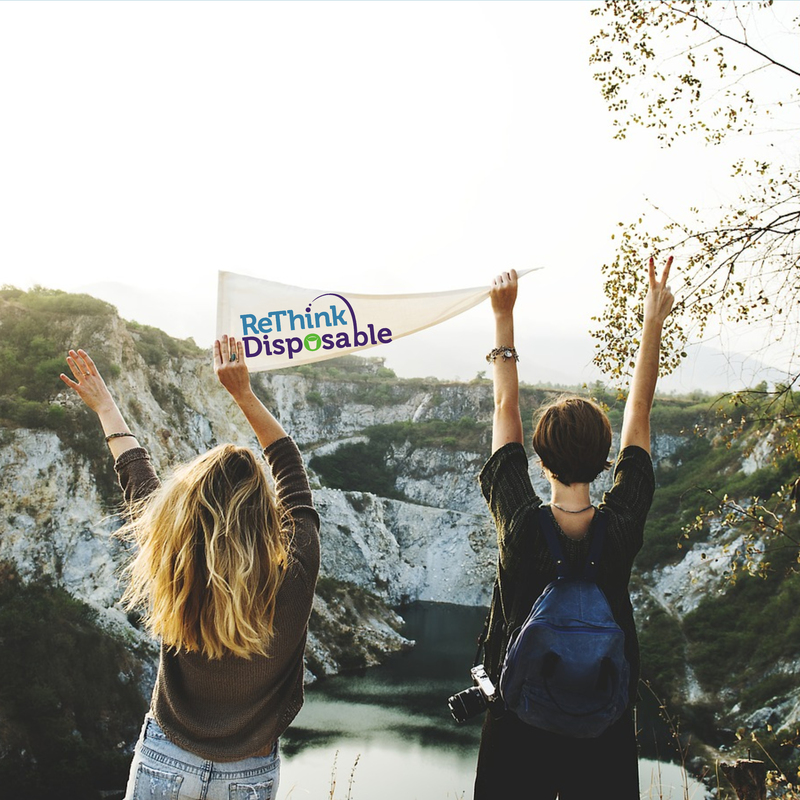 Become part of the ReThink Disposable movement by supporting our programs that prevent plastic at every stage from extraction to disposal, and at every level from individuals to businesses to governments. Make your year end donation today. Let's make 2019 plastic free! Have a Happy New Year!